Finding new work for apprentices left jobless in the wake of the collapse of Carillion cost the government around £3 million, a National Audit Office report has revealed. A total of 1,148 trainee bricklayers, carpenters and builders suddenly found themselves out of work when the outsourcing giant went into liquidation on January 15. A rescue attempt to ensure they were not left to find new jobs alone was immediately launched and the Construction Industry Training Board, an “arm’s-length body” of the DfE, assumed responsibility for finding alternative employers. The apprentices had their wages paid until they were placed into new work. A new NAO report, which focuses on the role of the government in preparing for and managing the liquidation of Carillion, has now revealed the official receiver expects to incur costs of around £3 million as a result. This money is expected to be paid back to the government. “The special managers expect to incur around £9 million in other costs that would not be incurred during a conventional liquidation and which must be borne by the taxpayer and not the creditors,” the report explains. “One of these costs involves the CITB finding other providers for Carillion apprentices’ training. 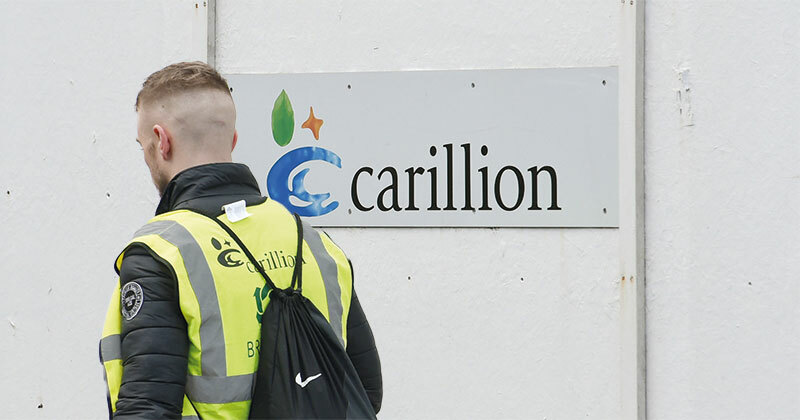 Carillion had 1,148 apprentices when it collapsed. At the end of March, 729 (64 per cent) had found or started work, or returned to education; 329 (29 per cent) remained without work, but are being paid by the official receiver; and 90 (eight per cent) could not be contacted. FE Week spoke with the CITB this week to get current figures for how many apprentices have so far been helped. Gillian Cain, head of apprenticeships at CITB, said that 924 apprentices now have new jobs. “Our efforts to help Carillion apprentices find new work are unwavering,” she added. “Our dedicated team are constantly in touch with learners and working with employers, colleges and training providers, to create new job opportunities. The CITB is continuing its matchmaking service for the remaining out-of-work apprentices, who are still being paid by the government. The success in sourcing new work for the apprentices has in part been put down to cash incentives of £1,000 which are being offered to employers. The payments are part of a £1.4 million package that sees firms receive £500 up front, and a further £500 after six months if they’ve retained the displaced trainees. Carillion was the UK’s largest employer of construction apprentices before it went into liquidation in January. They were being taught at the company’s skills division, Carillion Training Services, which held a £6.5 million ESFA contract last year.